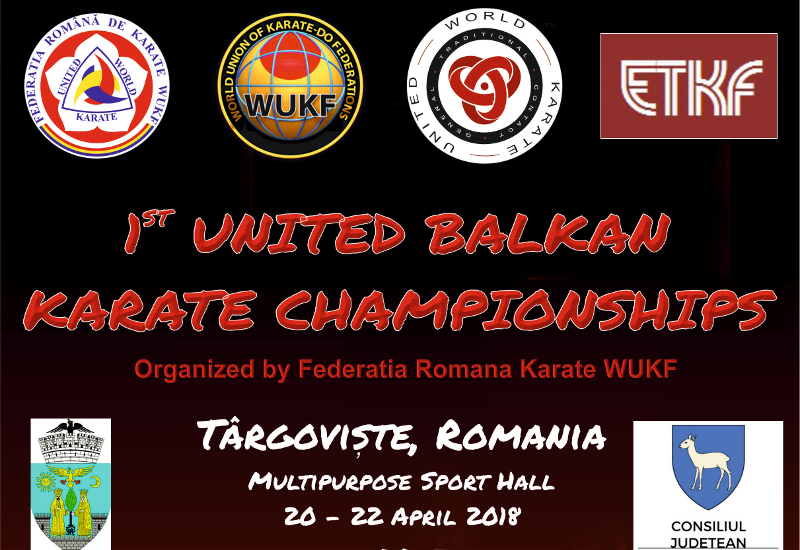 The 1st UWK United Balkan Championships will be held in Targoviste - Romania, from April 20 to April 22 2018. The Traditional Karate events will be organized by European Traditional Karate Federation (ETKF), sensei Vladimir JORGA 9 DAN will conduct this session. The karate championship will be held to Multiporpose Sport Hall from Targoviste. 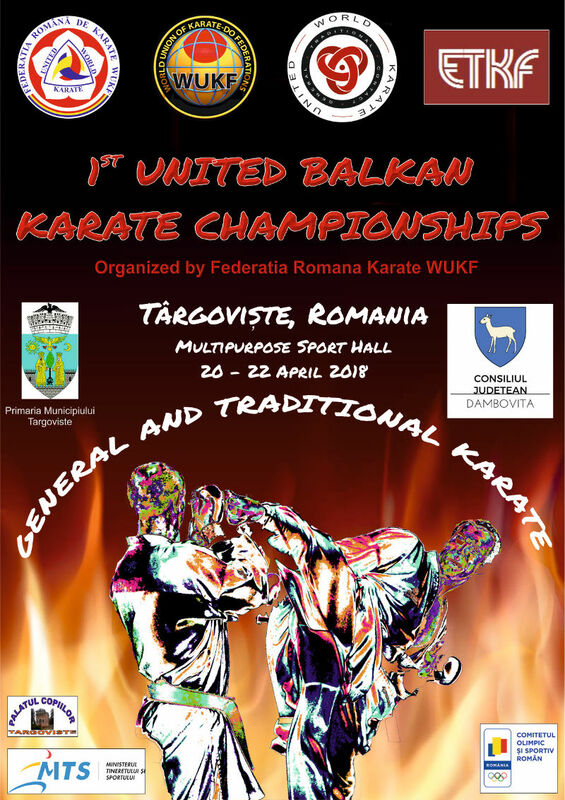 The traditional karate discipline categories for this championship can be consulted here and more about this event you can find on Romanian Traditional Karate Federation (facebook account). Good luck to all competitors and special thoughts for Romanian karate team.